There is something much more Super than the Superman movie, Man of Steel. It’s being a Super Dad, something that most dads aren’t striving for…to be super! Being super to our kids doesn’t require supernatural abilities, it just requires our extra attention and love. To the dads out there, our children looks at us and copies almost everything we do. I am a Keynote speaker. When Gabbie was 1-and-a-half years old, we caught her on video copying me speak in public. She doesn’t even know how to talk but she already knows how to copy. “You can con a con, you can fool a fool, but you can never kid a kid.” Kids won’t do what you say, they will do what you do, so be careful of your words and actions when you’re with them. They’re looking for role models — they are looking for a super hero to copy. Teacher:Who is Emilio Aguinaldo? Doesn’t anyone know who Emilio Aguinaldo is? For the last time, who is Emilio Aguinaldo? A student raised his hand. Teacher:Finally, someone who knows Emilio Aguinaldo. You, the boy raising his hand, can you tell everyone who Emilio Aguinaldo is? Boy:Ma’am I think he is from another section. Gabbie: Daddy, when I’m a grown-up, do I need to call you daddy, or can I just call you Jayson? Me: You still have to call me daddy even if you’re old because you will only have one daddy in the world. 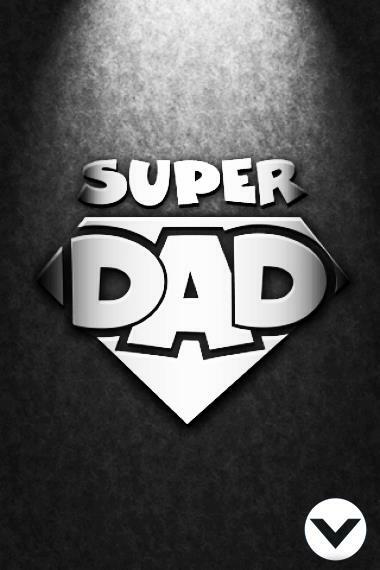 There have been many Superman actors who portrayed the man of steel, and there will be many more, but your kids will only have one Super Dad in this lifetime. Most of what you said is true. Fatherhood is so much more than bringing a child into the world, it’s raising a child for this world. Thanks for this great learning and additional knowledge for me, being a new dad, I am now a father of a 1 Month old baby boy.. Thank you .. God bless..
Congratulations! Being a new dad really changes our world!